In this podcast, we review the definitive Sabbat sourcebook for Vampire: the Masquerade Revised Edition. 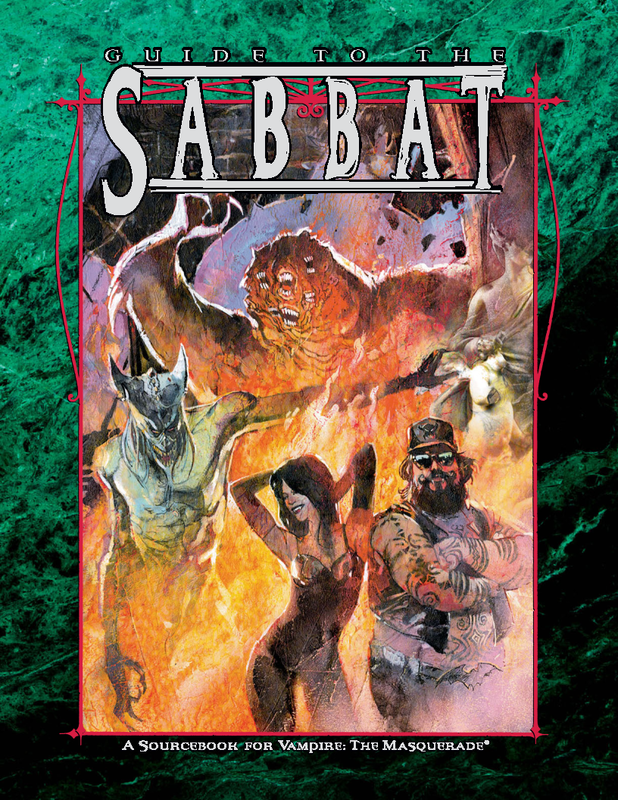 The Guide to the Sabbat give players and storytellers a wealth of knowledge and detail on the history, rituals, bloodlines and secrets of the most reviled sect of vampires in the World of Darkness. The Sabbat are depraved monsters, reveling in their Damned state and herding the kine about them like cattle. Or so it would seem to the uninitiated. In truth, the Sabbat wage a secret war on the elders, struggling night after night to free themselves from the tyranny of the dread Antediluvians and the Jyhad itself. But are their tactics effective or simply horrific? The Guide to the Sabbat examines the Sabbat exhaustively from the antitribu, or "anti-clans" that populate its ranks to the terrifying Disciplines they use to their methods of waging war on the Camarilla and Antediluvians alike. This book also explores the progress the Sabbat have made in their war effort, chronicling their inexorable climb over the East Coast of the United States and their usurped territories in the Old World. In this episode, we talk for a long time about the 2nd Edition Vampire Player's Guide. Also, Q&A! Give it a go! Vampire Players Guide Second Edition is an updated version of The Players Guide for the Vampire: The Masquerade Second Edition rules. A large portion of the book's text is reprinted, updated, and revised from the previous version of the Players Guide to fit the Second Edition's rules and formatting style. Notable among the new content in this edition of the Players Guide is the introduction of two new bloodlines, the Daughters of Cacophony and the Samedi, along with their respective signature Disciplines.